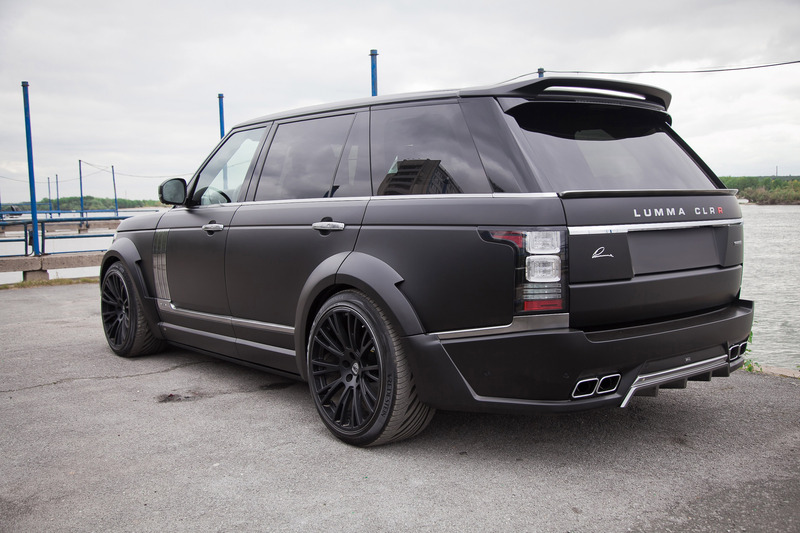 Since LUMMA Design already offers successful car body kits for the Range Rover and Range Rover Sport in many different versions – from unobtrusive to noticeable – the traditional refiners from Baden-Württemberg Winterlingen are now stepping things up a notch: LUMMA Design is the first tuner to offer a broad-build body kit for the Range Rover long version type LWB (Long Wheelbase), with a wheelbase elongated by 20 centimetres as compared to the "normal" Range Rover. 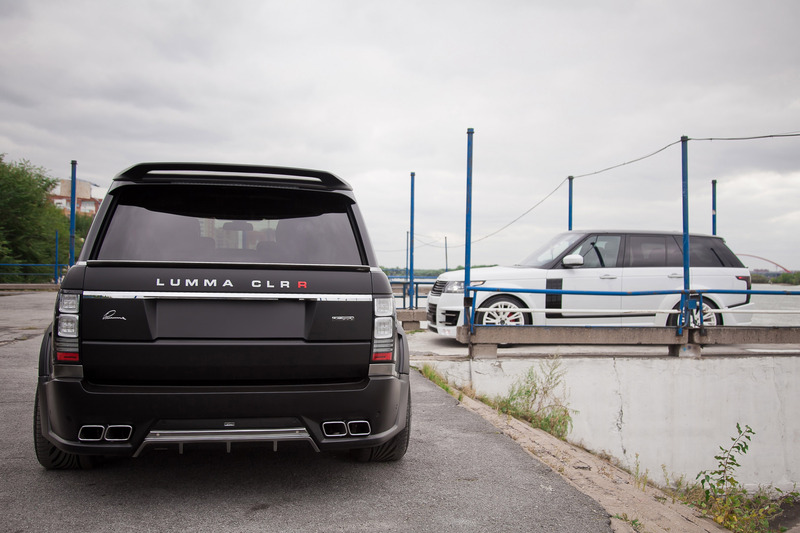 The front of the new LUMMA CLR R wide-body Range Rover LWB is characterised by a powerful front spoiler bumper with awe-inspiring air inlets, LUMMA-typical LED-double daytime running lights and double headlights just above the lane. 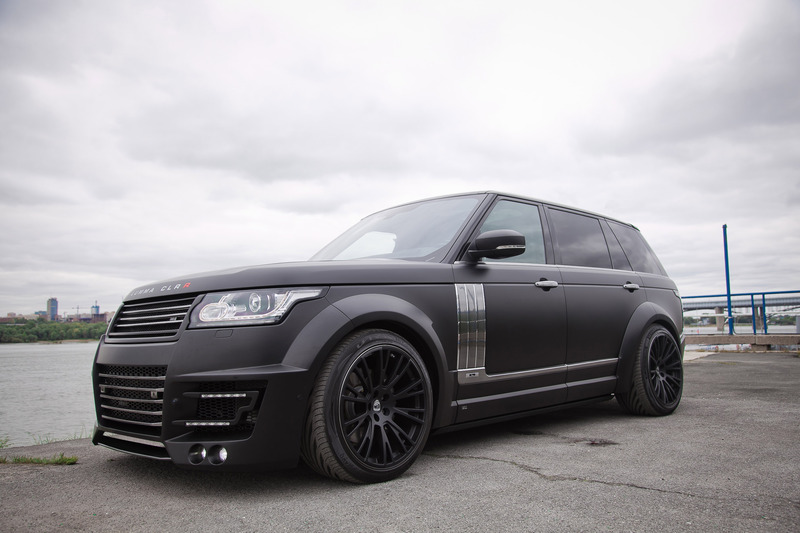 In addition to this, LUMMA Design gives the Range Rover a new front grille and a full-carbon sport look motor cowl with central air exhaust openings. The counterpart at the rear forms a rear bumper with integrated diffusor. 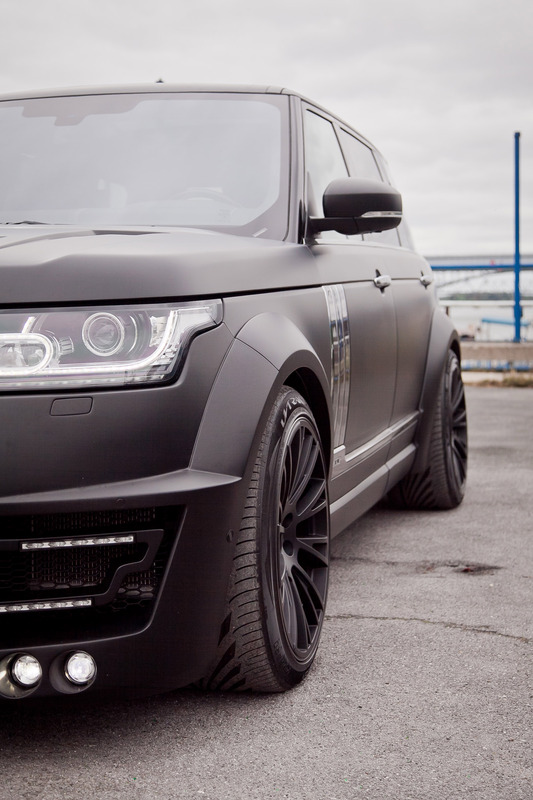 The latter does not narrow down the useful value of the Range Rover, since the part can be removed in just a few steps so that any trailer coupling present can be used without limitations. To the right and left of the diffusor, two trapezoid chrome end tube covers of the "Supersound" sports exhaust system were integrated into the LUMMA Design rear apron cleanly and accurately. The designed rear lamps with their large white elements look equally perfect in dark and light vehicles. Optionally, there also is a distinctive roof spoiler that not only sets a visual accent in airy heights, but also generates some extra down-force at the rear axle of the heavy-weight. "Heavy" is the right word for the LUMMA Design wheel-arch enlargements and door attachments – in the very best sense. The combination makes the long version of the British luxury off-road vehicle about 50 millimetres wider – on either side, of course! Of course, wheelbases enlarged like this require adequate wheel/tyre combinations. LUMMA Design offers the perfect solution in its in-house LUMMA CLR 22 rims that rotate in the XXL-size 12x22 inch all around in the illustrated vehicle. In spite of their immense size, they look quite delicate. 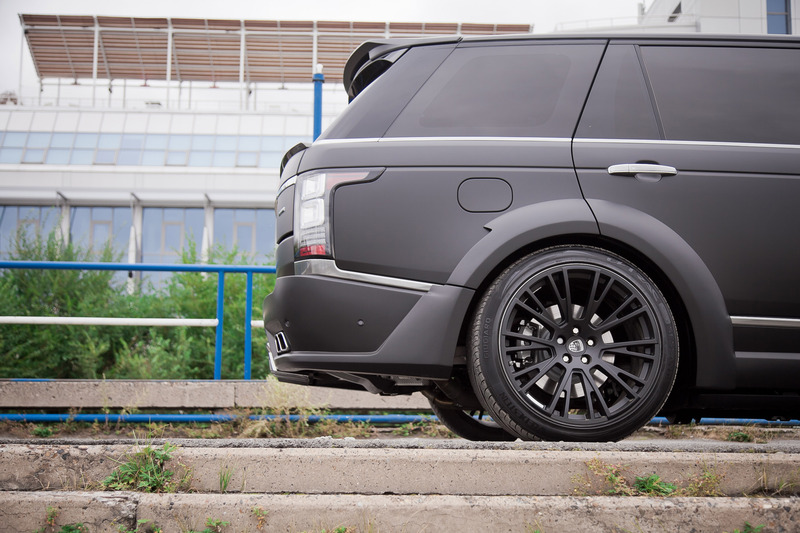 The fashionable one-part units were covered in Vredestein Ultrac Sessanta SUV-tyres size 305/35R22. Optionally, the illustrated vehicle has various exterior surfaces in a reflecting chrome design that are also available in exposed carbon as an alternative. 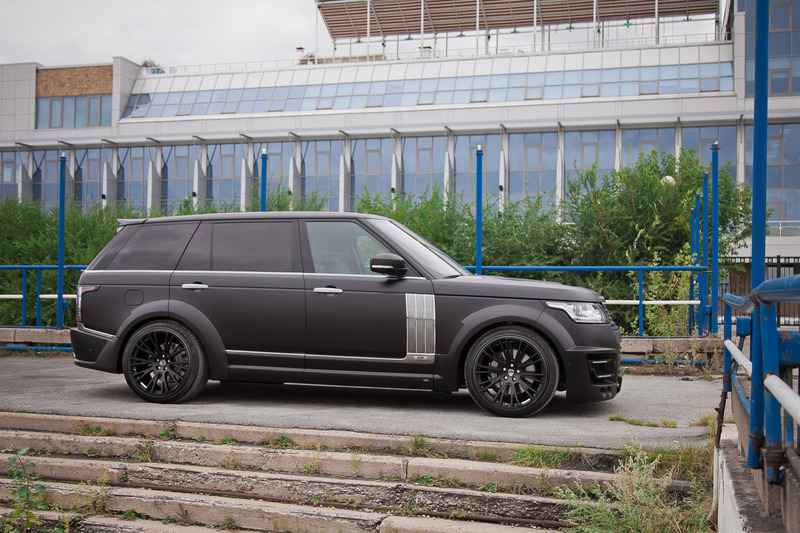 All conversion parts are naturally also available for the "short" Range Rover version LW with a normal wheelbase. On request, LUMMA Design mounts and paints the car body parts in the in-house workshop as well. Material and production "Made in Germany".